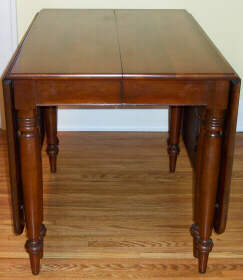 I recently inherited my grandmother's dining set which was purchased in Peoria, Illinois. The set is Willett Countryside. I was thrilled to read the information on your site, yet disappointed that my set is the one of which you have no information. 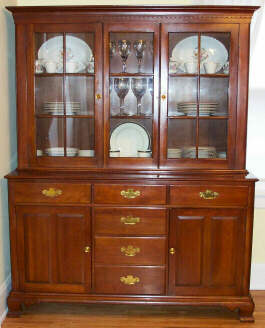 I have attached photos of the table, chairs, and buffet/hutch. I included photos of the markings on each piece. I have a slow connection, so it took forever and a day for these pics to upload. I sincerely hope you are blessed with a fast connection. 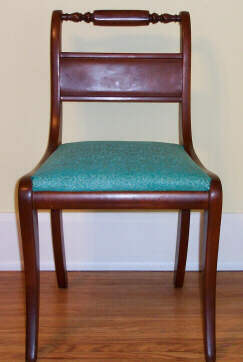 On your site, you write, "Chairs often bear no marking at all. 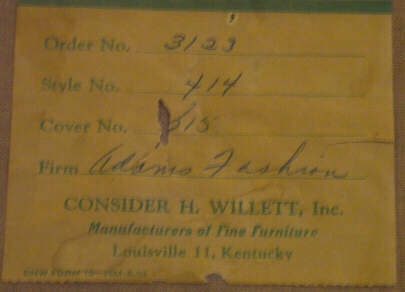 Upholstered chairs probably had a paper tag stapled underneath, but these tags were usually removed when the chair fabric was changed." I have included photos of the chair tags which are still in place underneath the cushion. I know that my grandmother had the chairs covered, but I believe the original fabric is underneath. 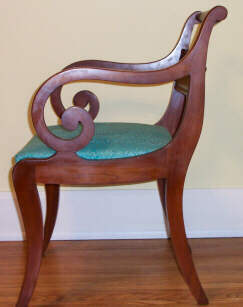 I will be checking that very soon as I plan to change the chair fabric. I am not sure why the side chairs seem to bear two different tags. Please feel free to use my pictures on your site. I plan to do more research on this particular set, but it doesn't seem like there is a wealth of information out there. Monetary value is of interest to me, but only for the sake of knowledge. I would never part with this set. I remember countless holidays around this table with my family and look forward to creating more special memories with my own children.